Manifesto of the 21st. 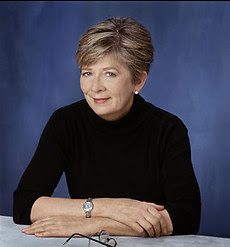 Century: Barbara Ehrenreich: On (not) getting by in U.S.A.
Nickel and Dimed ,on (not) Getting By in the U.S.A. Between 1998 and 2000, I went to three different cities, and tried to support myself on the wages I could earn as an entry-level worker. I waited tables, I cleaned the toilets of the rich, I fed Alzheimers patients in a nursing home, I sorted stock at Wal-Mart. All these were difficult, exhausting jobs, and it made me understand what a serious mistake our nation made with welfare reform. The theory behind welfare reform was that there was something really wrong with welfare: They were psychologically damaged —lazy, demoralized · and they are that way because of welfare, that welfare causes poverty, some people said. Never mind that most people on welfare of course, were busy raising children and working on and off whenever they could, the new law just says everybody has to get off of welfare and into the workforce, to sink or swim. This hasn't worked out too well.